As a Gnostic expert, priestess and therapist, I specialise in teaching women (and some beautiful men) about the Rose Lineage and its Venus, lunar and mythological cycles of the year, guiding them on a path of healing and empowerment using transpersonal techniques such as guided meditation, ritual and creative expression. The ‘Rituals to Feed Your Soul’ series of blogs explores the different celebrations, myths and archetypes associated with the eight pagan festivals of the year on my Philosophia Wheel. A Super Moon happens when the Moon is both full AND at its closest to the Earth so that it appears larger and brighter. A Blood Moon happens when there is a Total Lunar Eclipse. This is when the Earth passes between the Sun and a Full Moon, blocking the light of the Sun, which casts the Earth’s shadow onto the Moon. However, due to the way sunlight is refracted by the Earth’s atmosphere, the Moon appears to turn red, hence it is known as the Blood Moon. A Wolf Moon is the first Moon of the year, which some people believe is named after the hungry wolves that used to howl outside villages. I believe that the Wolf Moon is more deeply connected to the ancient honouring of the Wolf at the beginning of February, which I explore in my novel The Serpent’s Tale, which begins and ends at Candelora (held on the same date as the Celtic festival of Imbolc), the Gnostic festival founded on the ancient rites of the Lupercalia in honour of the Wolf God Lupercus and Wolf Goddess Lupa. So what does this all mean for us on 21 January 2019? Well, on 20 January, the Sun moves into Aquarius which symbolises the collective unconscious and the part of us that takes our gifts and shares them with the world. Then on 21 January, the Total Lunar Eclipse reaches its peak at 05:11 GMT with the Full Moon occurring at 05:15 GMT in Leo, the symbol of our creative, Authentic Self. Firstly, the Full Moon energies are going to show us what our Authentic Self wants us to manifest in the world and ask us to bring our dreams and our actions into sacred union. And because this is a Super Moon, these energies are going to be greatly amplified. Secondly, the combination of energies from Aquarius and Leo are also asking us to look at where we are sharing our gifts, creativity and truth in the world, and how can we do this more effectively for the good of all. Thirdly, the energies of the Total Lunar Eclipse are going to be bringing about an ending and a new beginning at this stage of our lives. In relation to the other energies, this means that we are being asked to let go of anything that is blocking the true expression of our gifts in the world and to birth a new creative way of manifesting them. Fourthly, the energies of Wolf are going to be urging us to break free from anything that is constraining us in our lives and to set our Authentic Self free in all its wild, creative, unique beauty. PHEW! No wonder this is such an important event! 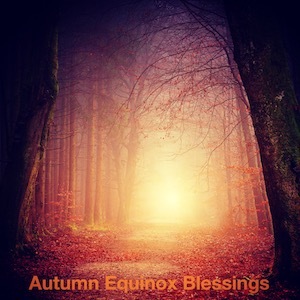 So to help you make the most of these energies, I’ve created a video where I explain this in more detail and lead you on a powerful guided meditation with the Blood Moon and Wolf, which you can access by subscribing to my Rose Moon Membership. For just £13 a month, you’ll receive a live Rose Lineage webinar with me every Venus-Lunar month, New and Full Moon videos with guided meditations, as well as early-bird access to my events, and discounts on selected online courses and retail products. Join our beautiful circle of over 30 like-minded people from around the world – including Australia, Mexico, Hawaii, Spain, Italy, Sweden, Germany, Portugal, France, Ireland and the UK – who are walking this profound path of healing and empowerment together over the coming months, aligned mythologically, astronomically and astrologically with the Venus-Moon Cycle and the Rose Lineage. You are also warmly invited to join us either IN-PERSON or LIVE ONLINE for a special ceremony on 2 February at 19:00-21:00 GMT celebrating Imbolc and Candelora at The Glastonbury Gnostic Chapel. I will be sharing about the original festival upon which Candelora is founded, reading extracts from my novel The Serpent’s Tale which begins and ends at the festival of Candelora, before leading the circle on a guided visualisation with the empowering energies of Wolf, which are so potent at this time of the Wolf Moon and Imbolc. We will then be led by our special guest and Wild Poetess Jodie Jaimes into a powerful poetry playshop called ‘Letters of Liberation’ where she will guide you in the creative expression of your visualisation and Authentic Self, inspired by the Gnostic-Celtic Goddess of Imbolc, Brigid, Goddess of Poetry and muse of the Druids. In-person spaces are limited so please book your tickets in advance. Standard Price: £22 and Concessionary Price: £15 (unemployed, senior citizen and disabled). For those of you who are unable to join us in-person, we warmly invite you to join us LIVE ONLINE. Book your ticket (£11) and we’ll send you an invitation to join our private Facebook Group where you’ll be able to join us live. The Glastonbury Gnostic Centre will donate 50% of its net profits to The Glastonbury Gnostic Chapel Charitable Company, which provides low-cost therapeutic services to those in need.